The on-going battle for Hawaiian sovereignty took a turn recently when the federal government released a rule that could recognize native Hawaiians as a federally recognized tribe. This could give Hawaiians the same status as indigenous communities on the mainland have had. 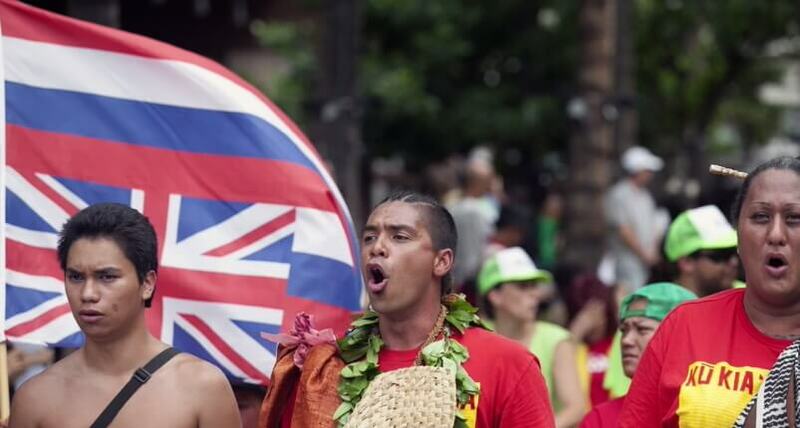 A process called Na’i Aupuni that promised a pathway for self-determination began a year ago, allowing Hawaiians of native ancestry to choose dozens of representatives who would then decide on the relationship between the US and Hawaii. Hawaii was seized by the US in the late 1890s and was made the 50th state in the union in 1959. Since then Native Hawaiians have been fighting to reverse statehood and revert to a sovereign kingdom. Rising Up host Sonali Kolhatkar interviews Healani Sonoda-Pale, founding member of the group, Protest Na‘i Aupuni.